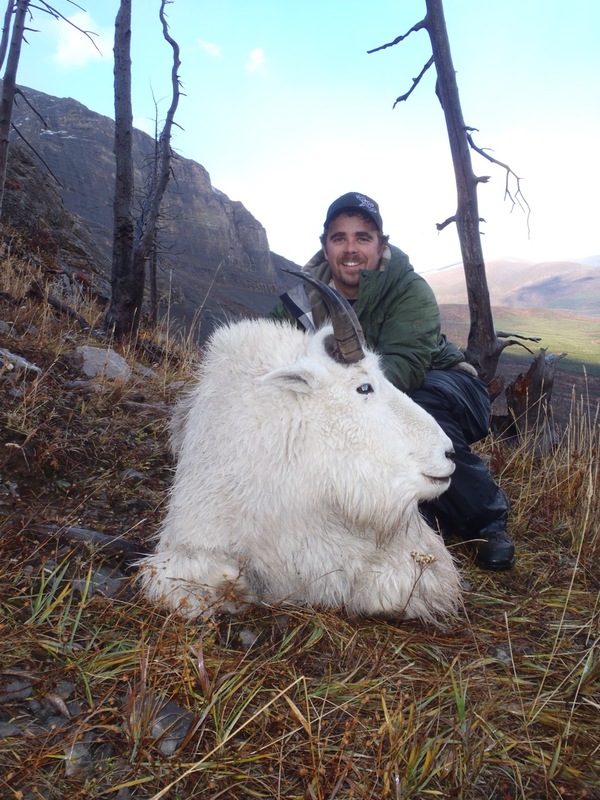 One particularly exciting way to experience British Columbia is on a British Columbia mountain goat hunt. In the northern reaches of the planet, there are vast woodlands and soaring mountains. On the taiga of British Columbia stand some of the most amazing landscapes on planet Earth. With the Rocky Mountains towering over all and forests as far as the eye can, divided only by roaring rivers and ravines, it’s easy to see why so many people are eager to visit British Columbia every year. 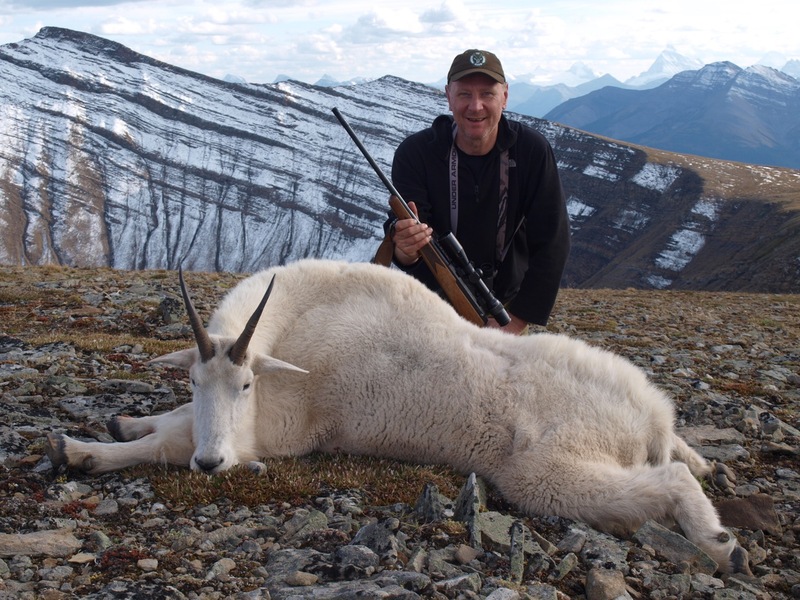 One particularly exciting way to experience British Columbia is on a British Columbia mountain goat hunt. 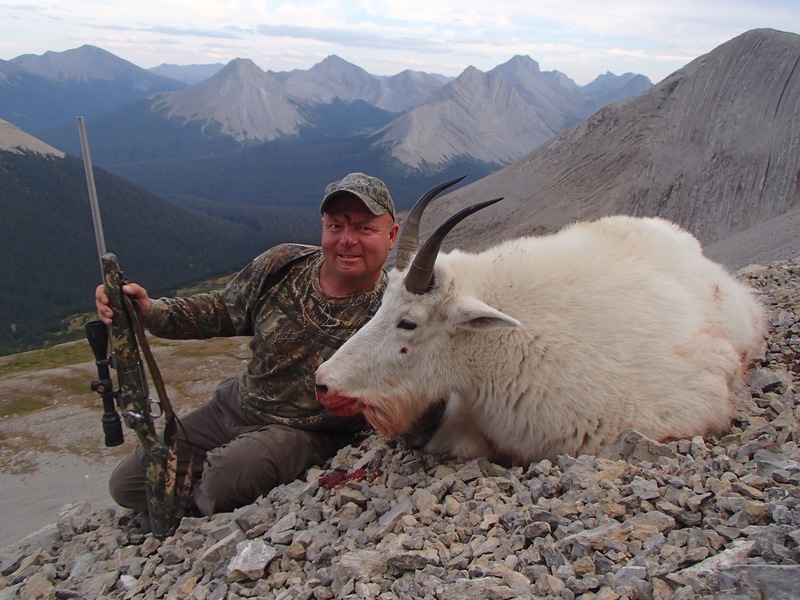 A British Columbia mountain goat hunt is a challenging test of wilderness skills for any outdoors person. Though the creature is not actually a member of the goat genus, it is distantly related to goats, sheep and muskox. The species is built for climbing and can effectively maneuver across rocky or icy terrain that would spell death for most other creatures. Their feet are perfectly adapted to the task. Their feet contain inner pads that give the goat amazing traction, their cloven hooves can spread apart, while the tips of their feet have sharp dewclaws that keep them from slipping. Standing at about 1 meter at the shoulder, furthermore male goats can weigh between 100 and 400 pounds. Their long black horns contain yearly growth rings that measure the goat’s age. Mountain Goats live mostly in the Cascade and Rocky Mountain ranges; these creatures tend to live on the same mountain face for long periods of time. Seasonal migration patterns move them from mountain to mountain as the weather dictates. With their thick, woolly fur coats, they survive low temperatures of the alpine regions of earth. Strict herbivores, mountain goats subsist mostly on grasses, herbs, ferns, mosses, twigs, leaves in their natural habitat. Female mountain goats, though smaller than the males, are surprisingly aggressive towards perceived threats to their offspring. Hunting British Columbia Mountain Goats is a matter of many hours of looking through binoculars to find your quarry. Then the hunt changes to an expedition requiring physical prowess and stamina. 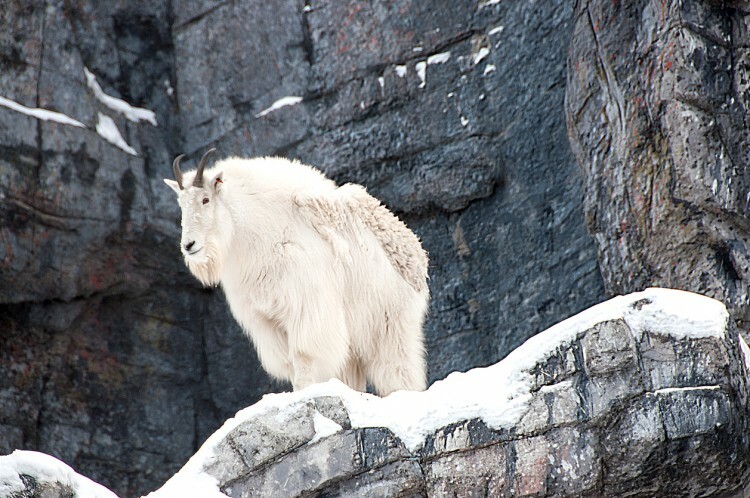 Climbing rocky bluff or stalking timberline ridges make mountain goat hunting exhilarating. Shots range from 100 to 400 yards. Once a mountain goat is harvested taking photos takes some time then the skin and meat are prepped, loaded into backpacks, and the hard work of returning to the horses begins. 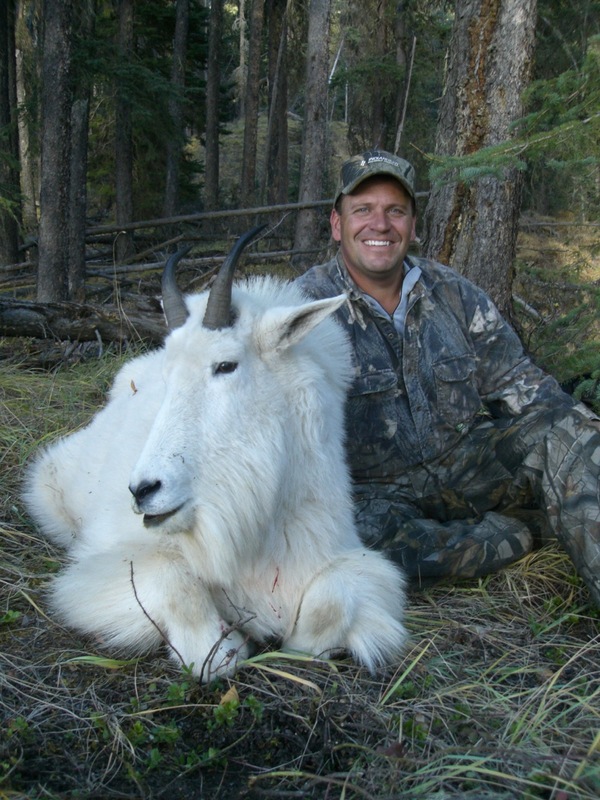 This is a very rewarding hunt and will be logged as one of a hunter’s greats accomplishments. With all our out of country hunters, we make sure that you have all the proper permits and tags and that you’re up on the regulations for your hunt. The cost of your hunt included all royalty costs that may be incurred because of your hunting success. 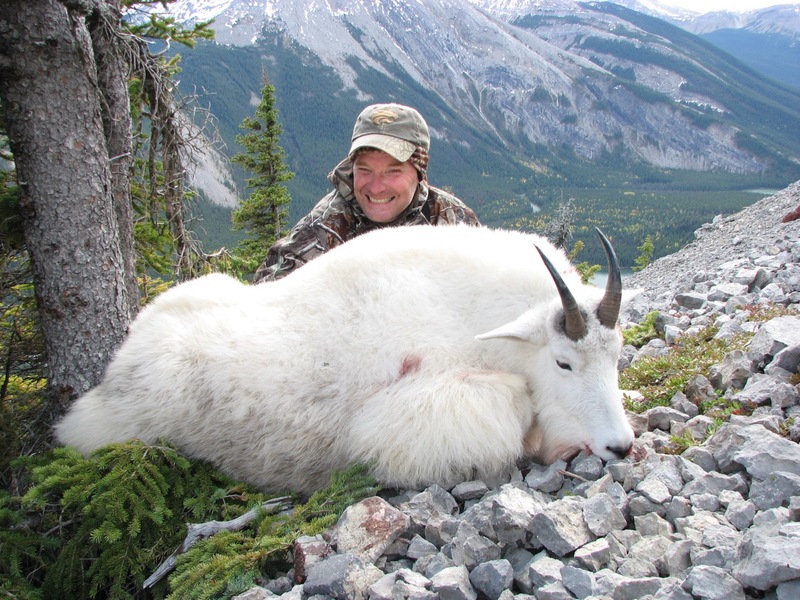 British Columbia Mountain Goat hunts, test yourself. Accept the challenge.